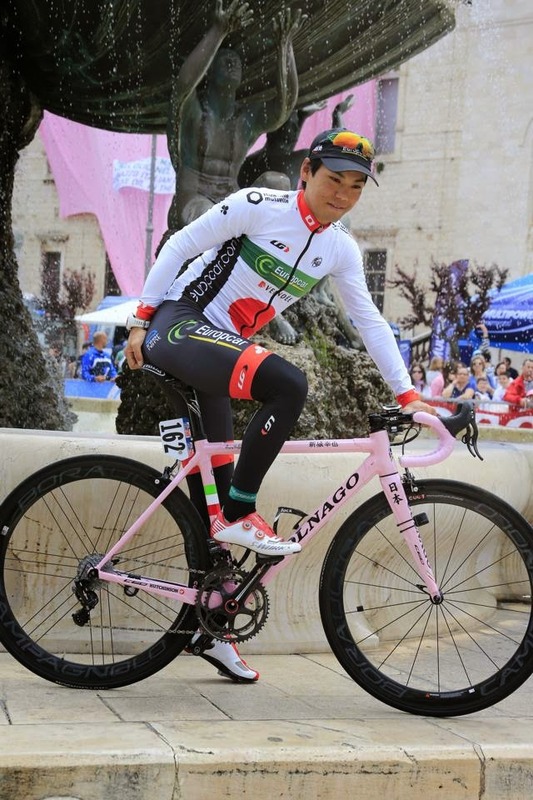 The Giro is a natural showcase of Italian flair - and what better way to show it off with the all pink Colnago C60 for national Japanese champion, Yukiya Arashiro. Excitement and rain soaked was the order of the day on stage 5 - watching the race especially during the last 10kms was nerve wracking as riders hit the deck on the slippery descents. Mikel Landa was one rider sliding out and looking gruesome. When will the rain end? The exciting hilly finish brought out the best in Diego Ullisi with a poker-faced Cadel Evans (2nd) and the superb Juan Arredondo (3rd). So, the limelight shines on the first Italian rider to win a stage in this Giro... Diego Ullisi.